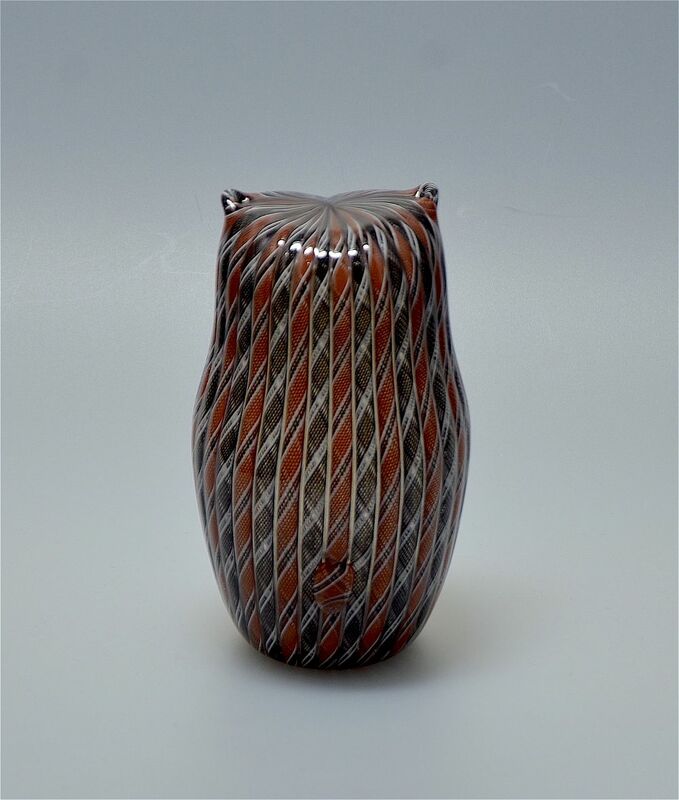 Another gorgeous hollow blown zanfirico cane owl made by Michael Hunter for Twists Glass in 2015. Its back is made of alternating terracotta black & white zanfirico canes and black & white zanfirico canes and its breast is alternating canes of yellow & white and pale purple yellow & white zanfirico canes. 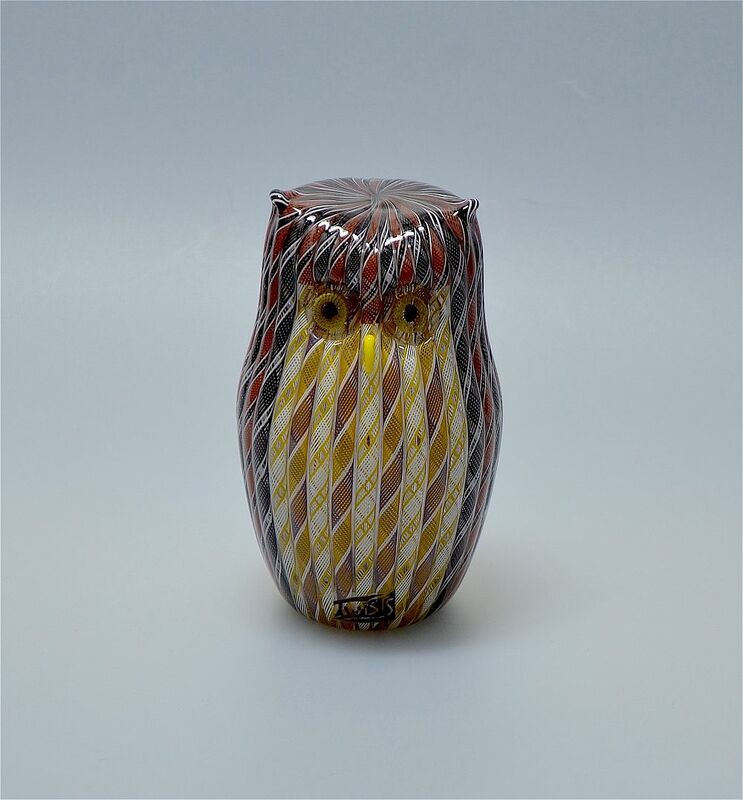 It has yellow & black murrine cane eyes and a yellow cane beak. It is scratch signed "M Hunter Twists 15" on the base and has the Twists Glass studio label.